Welcome To Dough Boy Pizza! Get something good to eat and something refreshing to drink at Something Brewery in Brighton! 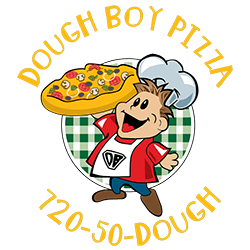 Love Dough Boy Pizza and Dirt Bikes? Grab your tickets early for our Anaheim 1 Supercross party this Saturday at the Field House Event Center!